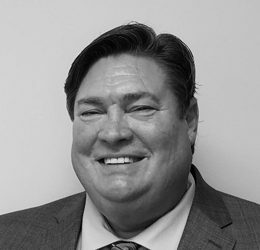 Rob Fisher is currently the President and Director of Operations for Fisher Improvement Technologies (FIT), a Native-American (Cherokee) owned business that was recently awarded a Top-100 Native-American Owned Business in the US and a Top-50 Emerging Business in North Carolina by DiversityBusines.com. Rob has extensive experience in performing incident analyses, designing performance improvement systems, designing and improving corrective action programs, designing and running procedure programs, and educating staff from the senior leaders to the field. He is a sought-after mentor and trainer, and is routinely invited to speak at international, national and regional conferences on safety, procedures, performance improvement, human & organizational performance and incident analysis. FIT has most recently been recognized internationally as instrumental in reducing fatalities and serious / life-altering injuries in high hazard industries using human & organizational performance and procedure concepts. FIT is known world-wide for the creation of practical application error reduction tools for use from the Senior Leaders to the hands of the field worker.